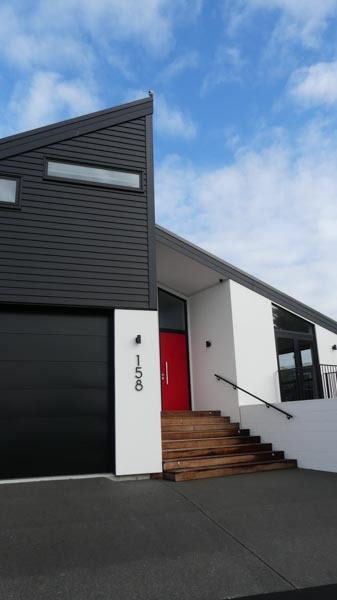 From the very beginning, H3 Builders has been at the forefront of building and rebuilding Christchurch. H3 Builders was established in 2007 by Dean Harrison. Supported by a team of five, two builders, two apprentices and his wife Jacqui, Dean’s skills as a licensed builder and carpenter, brings over 23 years of experience to what is essentially a family affair. H3 Builders are long time members of New Zealand’s Certified Builders Association and offer a range of quality services second to none. Construction and project management of new builds, including hill architectural builds, renovations, earthquake rebuilds, decking, or even just offering advice on your next project, H3 Builders can do it all. Dean and the H3 team, who have worked successfully with numerous Christchurch architects, pride themselves on doing the utmost to ensure your project is as stress free as possible. Dean and the team love a challenge, and are with you every step of the way throughout the build process with a `no job is too small’ philosophy. Dean oversees all projects and works on site on the tools to ensure projects all run smoothly and that the quality is always high. This also ensures great communication between H3 Builders and their clients. Plus, H3 Builders now include the new Halo 10-year residential guarantee insurance on all projects over $30,000, giving you that extra peace of mind. or call Dean on 027 437 1199.